The Philippos Apartments in Kassiopi are set in a very quiet location making it ideal for a relaxing stay. 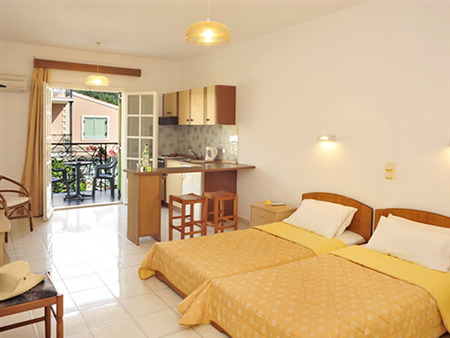 Although it is set in a tranquil area among olive groves, the Philippos Apartments are close enough to the centre of Kassiopi so everything you need is within easy reach and walking distance. Philippos Hotel in Kassiopi has a reception area where you can exchange currency, use a safety deposit box, fax and telephone services and the staff are happy to provide any kind of information that they can. There is also a Souvenir & Beach Accessories Shop on site, offering anything that you may find useful during your stay. The Philippos Apartments is an air-conditioned property consists of 6 buildings made up of 34 studios and 37 apartments and is situated in a quiet location close to the centre of the resort. It boasts a lovely swimming pool and separate childrens' pool and has plenty of space for sunbathing. Sunbeds and umbrellas are provided. Light snacks and refreshing drinks can be purchased from the friendly pool bar and conveniently, resort amenities such as supermarkets, shops, bars and restaurants are located within walking distance. The nearest beach is approximately 400m away and can be reached easily by foot. For those with a hire car there is a parking area. 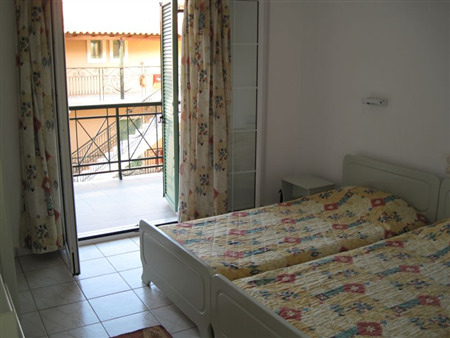 The Philippos Apartments are located 400m from Kassiopi's main beach. 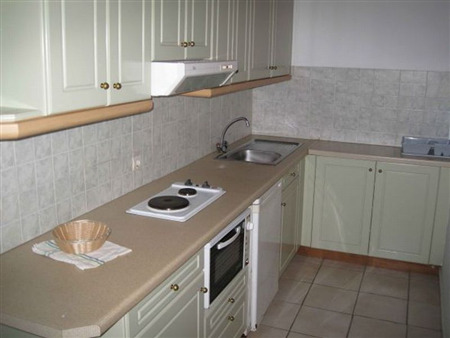 At the Philippos Apartments, there are a total of 25 studios and one bedroom apartments. Studios are equipped with a kitchenette, a shower room and a balcony or terrace. They sleep up to 2 adults and have twin beds. Similar to studios, the one bedroom apartments are equipped with a kitchenette, a shower room and a balcony or terrace. They have a separate twin bedroom and extra beds. All accommodation has air conditioning, a fridge and 2 cooking rings. All accommodation has air conditioning (charged locally), WiFi access, satellite TV, a fridge and 2 cooking rings. Cots are available on request. Please note: A new Accommodation Tax has recently been approved in Greece (mainland and Islands). This tax will be effective from 01/01/2018 and is for any stays booked before and after, and for stays that include this date. The taxation will be per room, per day and is payable directly to the accommodation at check in. This taxation is not included in any prices shown. Cost in Euros is as follows (subject to changes): Properties registered and licensed as Hotels: 1-2 Stars 0, 50€. 3 Stars 1, 50€, 4 Stars 3, 00€, 5 Stars 4, 00€. In registered Apartments, furnished rooms etc. The daily taxation will be per room (and not per person) on a daily basis as follows: 1-2 Keys 0, 25€. 3 Keys 0, 50€. 4 Keys 1, 00€. 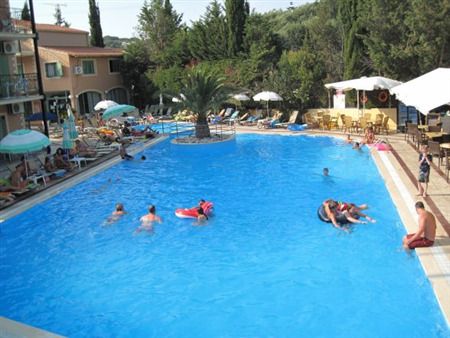 The Philippos Apartments, Kassiopi are a Self-Catering complex. Guests can enjoy light snacks and drinks at the pool bar.